Leoric’s release date in Heroes of the Storm has been revealed by the game’s official Polish Facebook page. The translation states Leoric is coming Wednesday — in North America, Europe’s Wednesday happenings come on Tuesday. 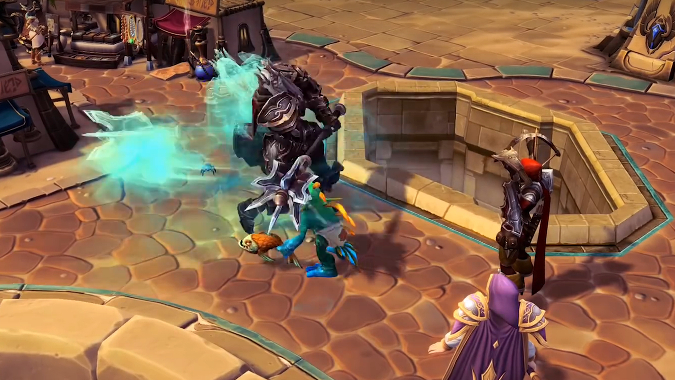 Leoric will therefore become playable in North America on Tuesday, July 21 and Wednesday, July 22 in Europe. The Heroes of the Storm community team released a Leoric spotlight last week which offered a great preview of the character, offering insight into both the character’s Diablo background and his Heroes of the Storm gameplay. We’re curious to see his Wraith form in action; many players are unsure how his resurrect-wherever-you-want mechanic will be balanced. Here at Blizzard Watch, we always notice some excitement behind any new character in Heroes of the Storm, but this string of Diablo characters so far — Johanna, Butcher, and Leoric — have seemed to inspire even more excitement than usual. We have to admit, we’re also eager to get our hands on Leoric, and we’ve enjoyed Eternal Conflict in general, including the new map. Diablo 3‘s Monk is the remaining previously announced yet unreleased Eternal Conflict character. Leoric steals the spotlight this week, but the Monk hype can’t be too far behind.